Happy 2017! Wishing all of you the best of the best in this new year! For me, it’s to grow my beautiful baby boy Lucas (who is quite the little devil sometimes), grow my body and make it fit and strong, and grow my business (new year new clothes anyone?) I would also want to grow my hair! When I was pregnant I chopped off a bunch of my hair because it was getting too long and tangled (I blame it on the pregnancy hormones). Then of course I regretted it immediately. It didn’t help that the hubby’s world pretty much fell apart (to be fair he is my photographer so he deserves to have some emotions tied to my hair). So I made a promise to him that if I ever cut my hair again that he is allowed to slap me across the face. What do you mean domestic abuse. I’m a pretty lazy efficient person so to me, the best of both worlds is to have semi-long hair myself, then add on hair extensions when I’m taking photos or going out for a bit more of the glam look. 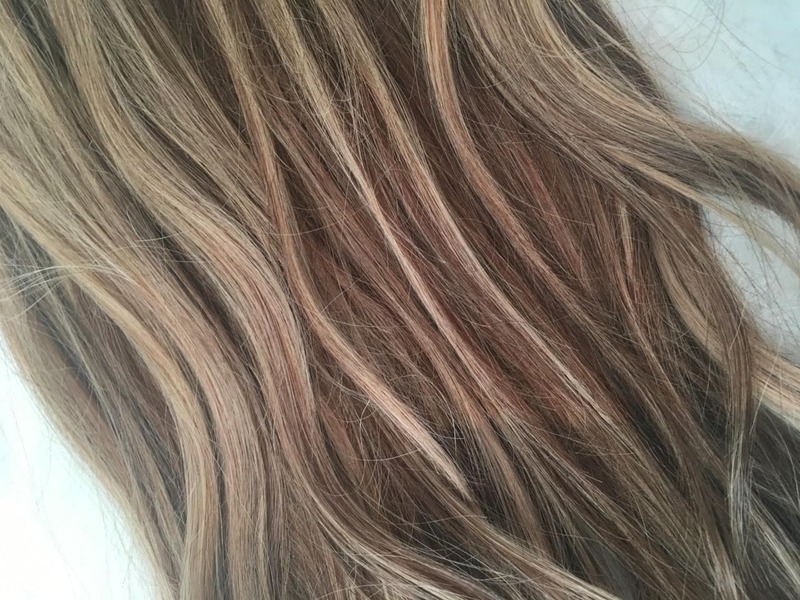 Since I have ombre balayaged hair with blond highlights, (thank you N15 Salon!) I like to have hair extensions with the same color palette. 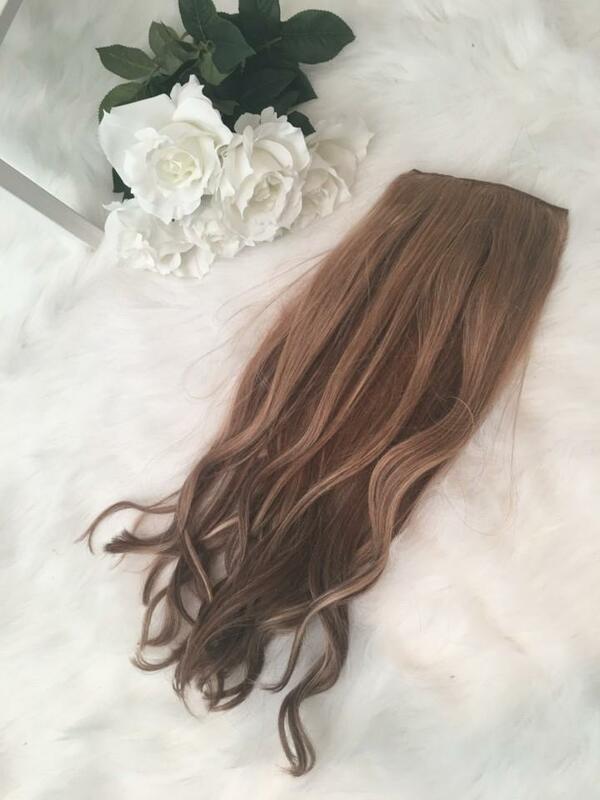 However, most hair extensions out there don’t offer highlighted packages, and if you want to achieve the look the best thing to do would be to take it to a hair salon to get the extensions colored/highlighted. BUT! 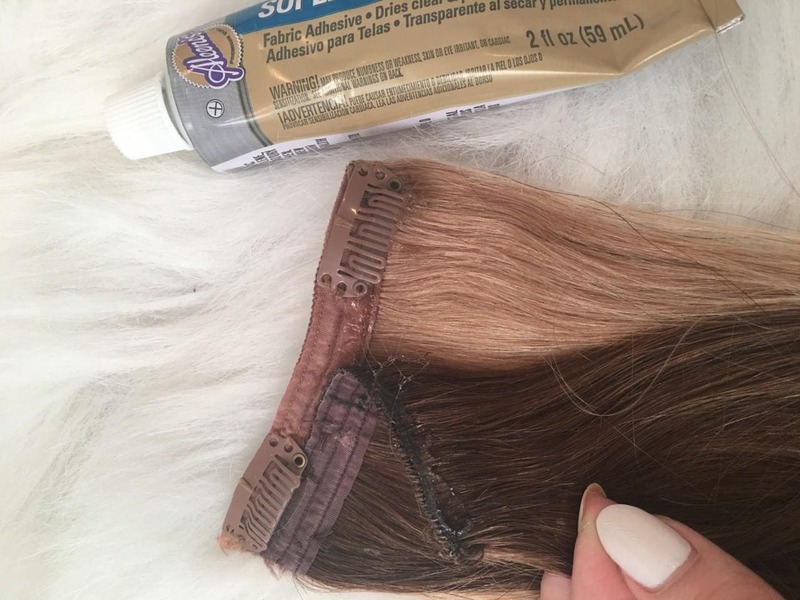 A lot of extensions cannot be colored for reasons beyond my comprehension, so I’m gonna show you a super easy way to DIY your own highlights in your hair extensions. 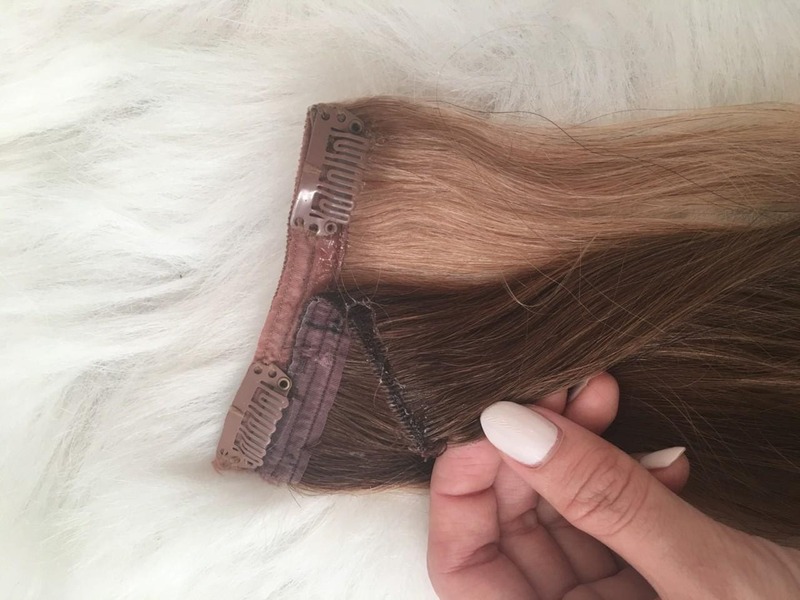 First things first, all you need are 2 sets of hair extensions in the same length, but different colours. For me, I went with the Luxyhair Chestnut brown and Dirty blonde. Remove the clips on one set of colours, and with fabric glue, carefully glue on strip of fabric band onto the other set of color. Press firmly when done, and remember to leave it to dry for a good few hours before using it because you don’t want to pull out your own hair! 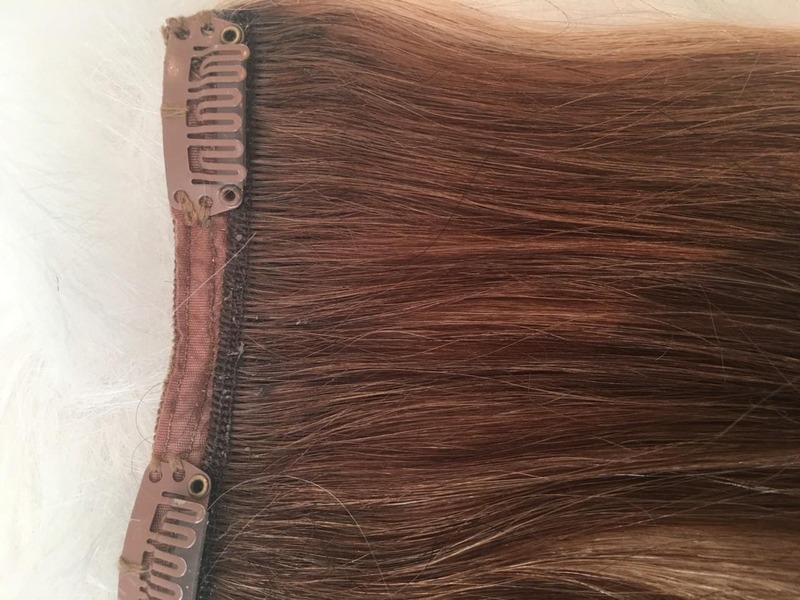 Repeat the same process for all the other corresponding hair wefts (the blonde 4-clip should adhere to the brown 4-clip, etc), until all your wefts are double-layered. It should look something like this when you’re finished – look at all the high and lowlights peeking through! 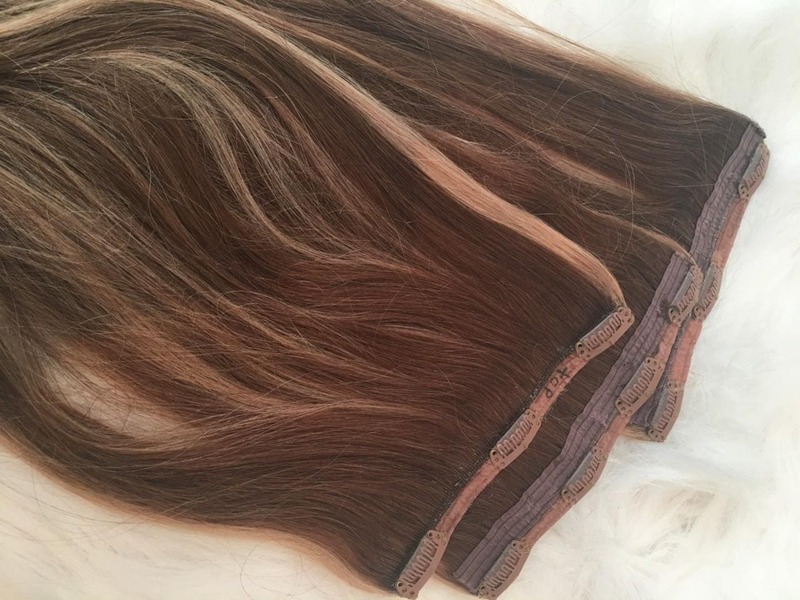 Enjoy your new hair extensions with highlights! 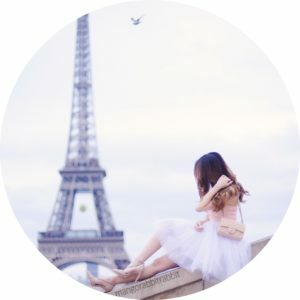 You are so gorgeous!! 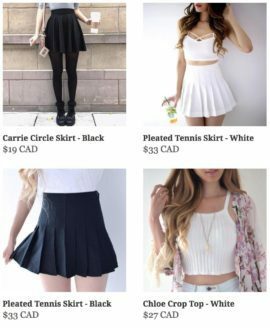 I wish I had the fashion sense and figure like you <3 I was just wondering, how do you find out what hair/clothes color matches your skin tone best because you always seem to be top notch!